Each set includes three 7 inch honeycomb tissue-based decorations with 7 x 8 inch card stock character cutouts. The cutouts are printed on both sides. 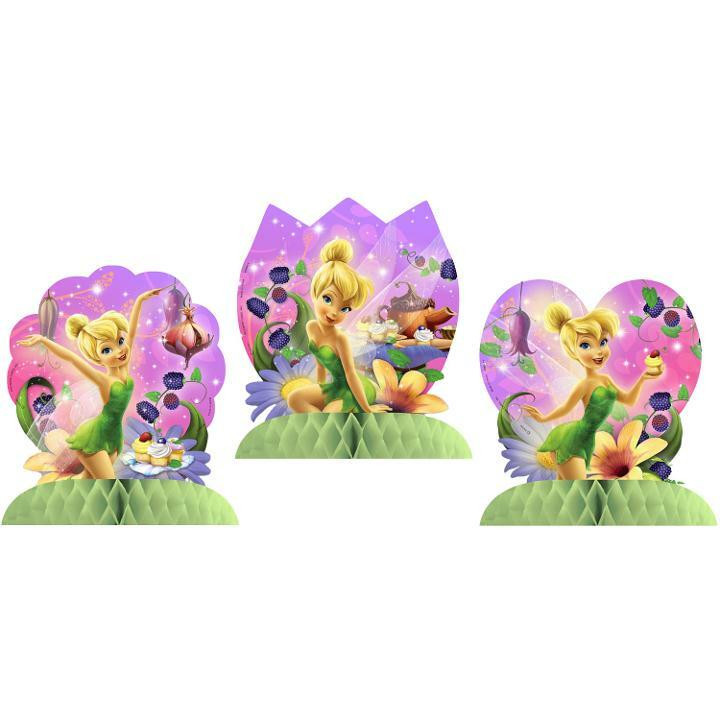 Scatter your Disney Fairies - Tinkerbell Mini-Centerpiece Set pieces around in different areas, group them together on the main table, or hang them from the ceiling with sewing thread or fishing line.